For those truly special occasions, charter the whole train! 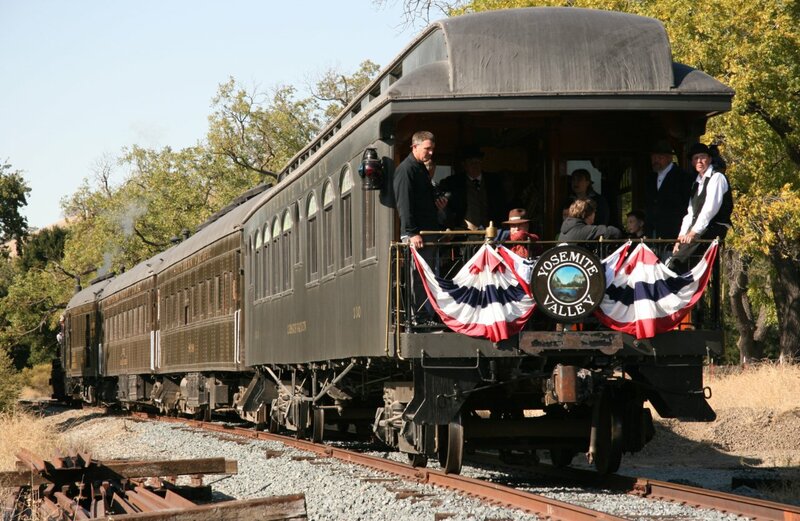 Enjoy the scenic Niles Canyon from open and covered viewing cars and a fully-enclosed coach pulled by a classic locomotive. Bring your own food and beverages on board, or enjoy a public picnic area near the station. Our friendly and helpful train crew will do everything possible to see that you and your guests have a good time. Train charters are available from mid-January to mid-October on weekdays and after regularly-scheduled operations on weekends. Train charters are not available mid-October to mid-January due to Train of Lights. Charters must be requested at least 2 weeks in advance. We have a limit of three charters per month. First requested, first honored. Mechanical lifts are available at stations to provide wheelchair access to the train. Additional cars with a capacity of 50 riders each may be added (for an extra fee) to reach a maximum capacity of 400 passengers per train. For special services or more passengers, contact us.